He might look different, but he's the sweetest chimp — and loves to show off for visitors at his new sanctuary home. It’s been more than two decades since Poco the chimpanzee was rescued — but anyone who visits Sweetwaters Chimpanzee Sanctuary, where Poco now lives, is reminded of where he came from. 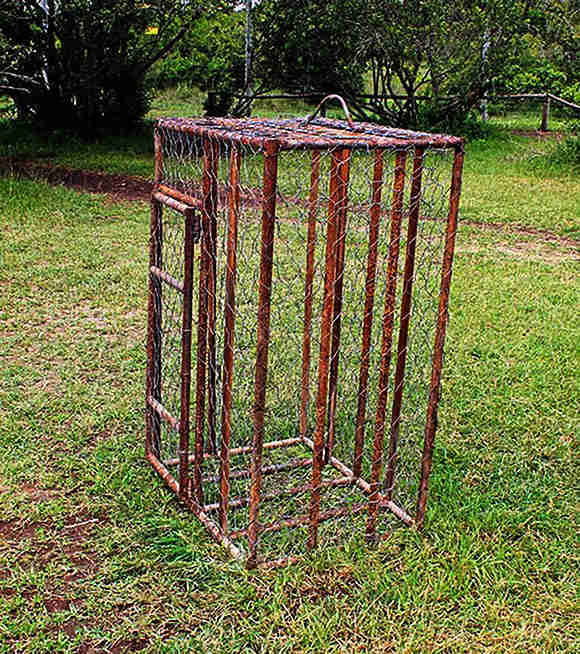 Poco spent nine horribly long years locked inside a tiny cage, which is now displayed on the sanctuary grounds. 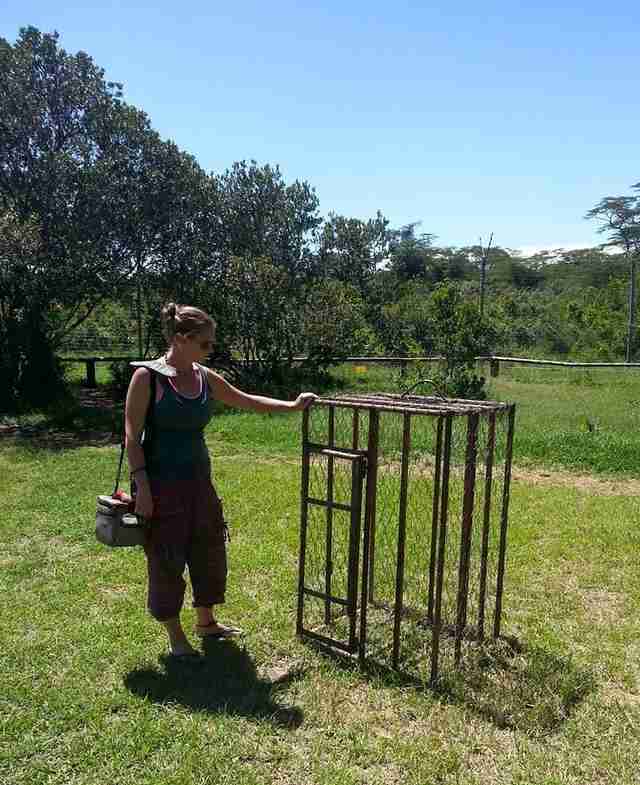 Poco’s cage used to be suspended from a shop roof in Bujumbura, Burundi. He was kept there to attract customers, who would buy bananas and other snacks to feed him. While no one really knows how the shop owner got Poco in the first place, rescuers believe he was stolen from the wild when he was 3 years old. Poco was never let out of his metal prison, which forced him to live standing in an upright position. 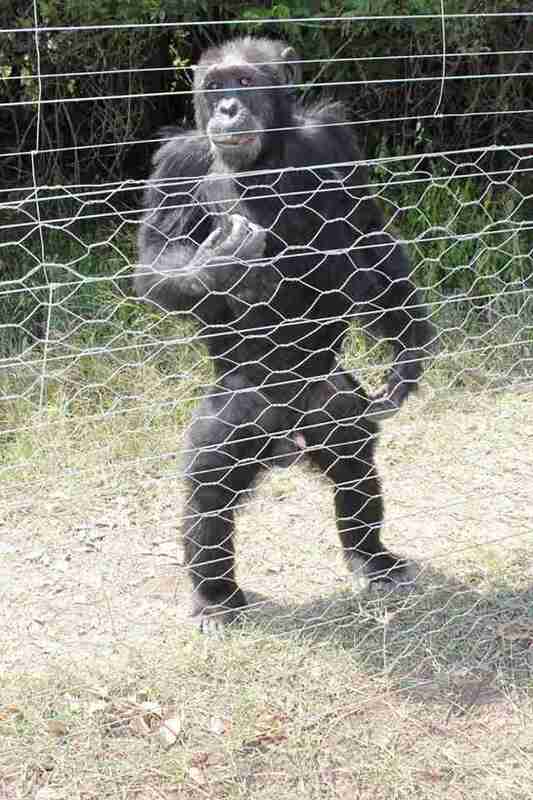 Not only would this have been uncomfortable, but it’s unnatural for a chimp to stand like this. Poco was also exposed to the sun and wind and rain. In the early 1990s, things finally changed for Poco. Authorities managed to confiscate him from the shop owners, and transferred him to a rescue center run by the Jane Goodall Institute (JGI) in Burundi. After spending two years being rehabilitated at the JGI center, civil war broke out in Burundi — and Poco was transferred to the Sweetwaters Chimpanzee Sanctuary in Kenya, which is run by Ol Pejeta Conservancy. Poco’s time at the JGI rescue center had helped him move forward, but he still had a lot of emotional healing left to do when he arrived at Sweetwaters. “When he got to Ol Pejeta it was emotional to see him still traumatized by hearing human voices,” Roxanne Mungai, communications and marketing administrator for Ol Pejeta Conservancy, told The Dodo. 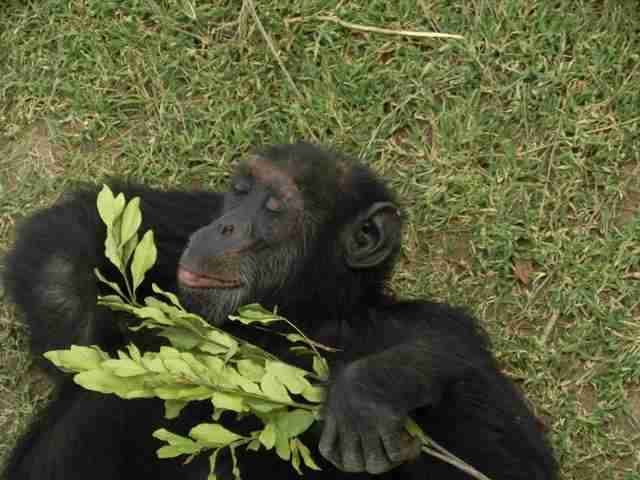 But with time, Poco blossomed into a happy, healthy chimp. He loved the space and freedom to move around at the sanctuary, and he enjoyed meeting the other rescued chimps. Poco still stands in an upright position, which is how he stood in his cage — and this is how visitors identify Poco from the other 36 chimps living at the sanctuary. “Poco is always a favorite among our visitors and is identified by his unique ability to stand on his hind legs,” said Mungai, adding that Poco oftens stands this way to show off. While Poco was lucky to be rescued, wild chimps continue to face numerous threats — people are rapidly destroying the forests in which they live and poaching them for their meat. 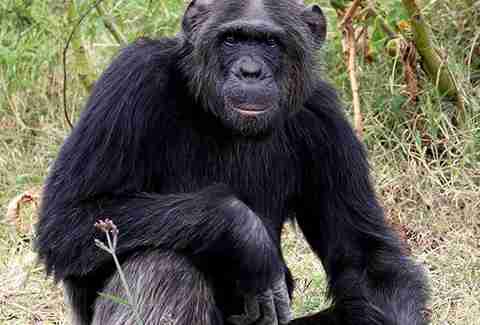 Wild chimps are also captured and sold into the entertainment industry or as pets. The sanctuary keeps Poco’s cage out on display to this day to help spread awareness about the issues wild chimps face. To help rescue other wild chimps from captivity, you can make a donation to Ol Pejeta Conservancy.